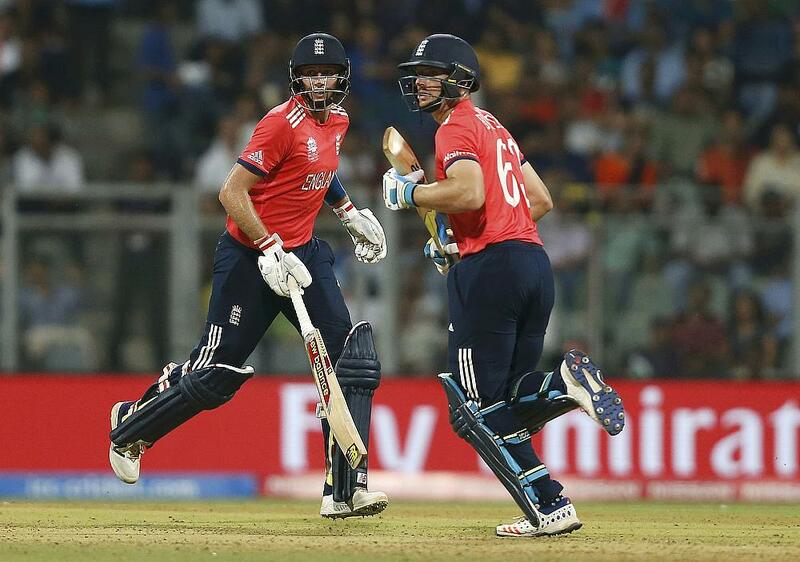 England smashed the record for the highest run chase in a World T20 event, as well as put up their own highest score in a T20I, as they beat South Africa by three wickets in Mumbai. Having conceded 229 for four to the Proteas, the Englishmen came up with a sensational run chase as they won with two balls to spare, thus keeping their hopes of a semi-final spot very much alive. The first over of the match, bowled by David Willey (1-40), went for just two runs. But it was just the lull before the storm, as Quinton De Kock (52) and Hashim Amla (58) smacked quickfire half-centuries to stun the English team. They put on 96 runs in 43 balls as the 50-mark came up in the fourth over and then the 100-mark in the eighth over. At the halfway stage, South Africa had already reached 125 for two and there were jokes going around that they might have to declare their innings. The English effort didn’t help of course. They were poor in the field, with dropped chances and bad outfielding adding to their woes. Their relative inexperience in T20 cricket in the subcontinent showed amply as the Proteas upped the ante. In doing so, they lost a few quick wickets, most notably of AB de Villiers (16), who mishit after smacking two sixes off Adil Rashid (1-35). However there was to be no respite for England, as JP Duminy (54 not out) and David Miller (28 not out) heaped more misery on them. They added 60 runs in just 27 balls, with Duminy reaching his half-century in doing so. The 200-mark had come up in style in the 19th over and when they finished at 220-plus, everyone expected the English batting line-up to simply roll over. Jason Roy (43) had other plans though. He came out breathing fire, smacking Kagiso Rabada (2-50) and Dale Steyn (0-35) as England got off to a rousing start. Alex Hales (17) got into the act too, and they had the start they wanted, better even than what South Africa had managed. At that point in time, it was about maintaining that run-rate and it is easier said than done when you are chasing a record total. England had come out swinging and with their ploy working, South Africa’s bowling looked completely rattled. They changed their line and length to counter the blind hitting from the English batsmen, but the more they changed, the more they got smacked. It was absolute carnage out there, despite Hales’ dismissal in the third over, when the 50-mark also came up. The English resolve could be seen from the promotion of Ben Stokes (15) to number three, and only when Roy missed his half-century and was out in the fifth over, did Joe Root (83) come to the crease. From there onwards, he took charge of the run chase and the South African bowlers were made to pay dearly. Against the West Indies, he had played a busy knock, picking up the odd boundary and running hard in between. Here, given the need of the hour, it was completely different as he hit out hard and ran the odd singles and doubles in between. That he played only three dot balls goes to show how well paced his innings was, propping up the run chase at the same time. The English fielding had left a lot to be desired, but at the same time, the South Africans were even more horrid with their outfielding and that was perhaps the major difference between the two sides. That and South Africa’s 20 extras as compared to England’s two, and ultimately it helped seal the win in the last over, albeit with some drama after Root was caught at mid-wicket in the 19th. England are still breathing in this competition and they ought to have been rejuvenated by this showing, especially after their 180-effort was chased down by the West Indies with ease. Then, they had lamented the difference of a mere 20 or 30 runs and today, when they were up against it and needed to score those extra runs, they proved up to the task at hand. Having said that their bowling needs to improve by leaps and bounds, at least to match up to their aggressive batting. They have given away in excess of 400 runs in just 40 odd overs. 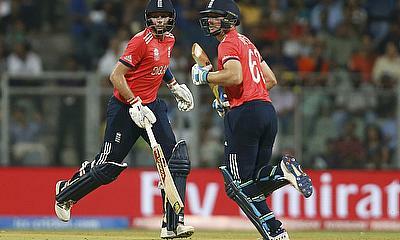 England cannot win the World T20 if that continues for much longer. To say that South Africa will be disappointed will be an understatement. They are one of the best prepared sides for this tournament, maybe even the dark horses to win the trophy. But they are not going to do it by leaking runs in the field, and not having a plan B when their bowling suffers an onslaught. The good thing is that they didn’t lose out too much in terms of the run-rate, and their next game is against Afghanistan at the same ground. With the Wankhede pitch playing true, it will provide them an opportunity to catch up quickly.